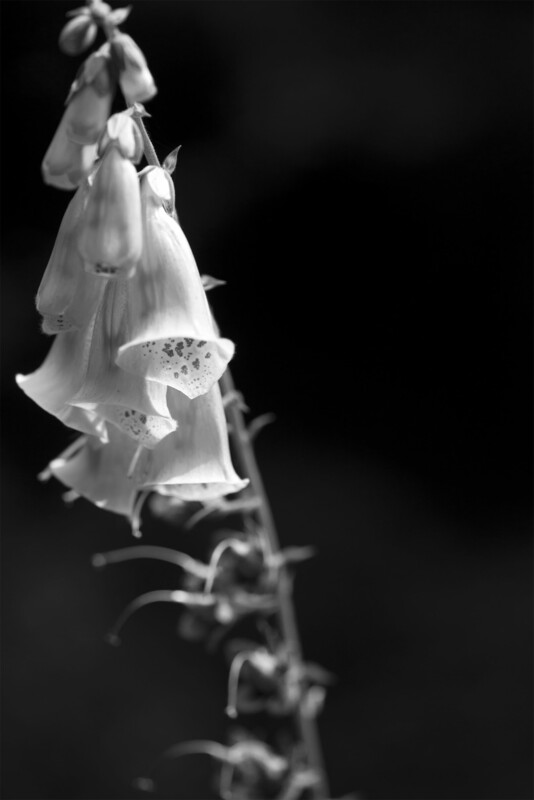 Along the trail on a silent hike the digitalis were ringing strong. Photographed in a dark yet very green forest. 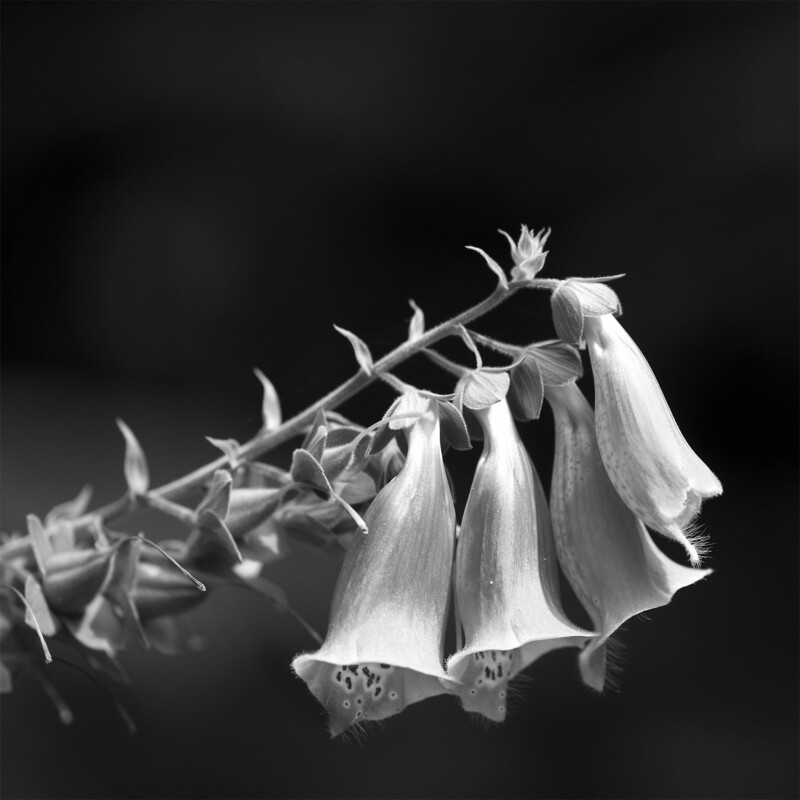 One of my favourite plants, much loved by bees also. It tend to have its own idea of where to settle and where not to! Like all good wild things do.